Just a few bits and bobs to share. 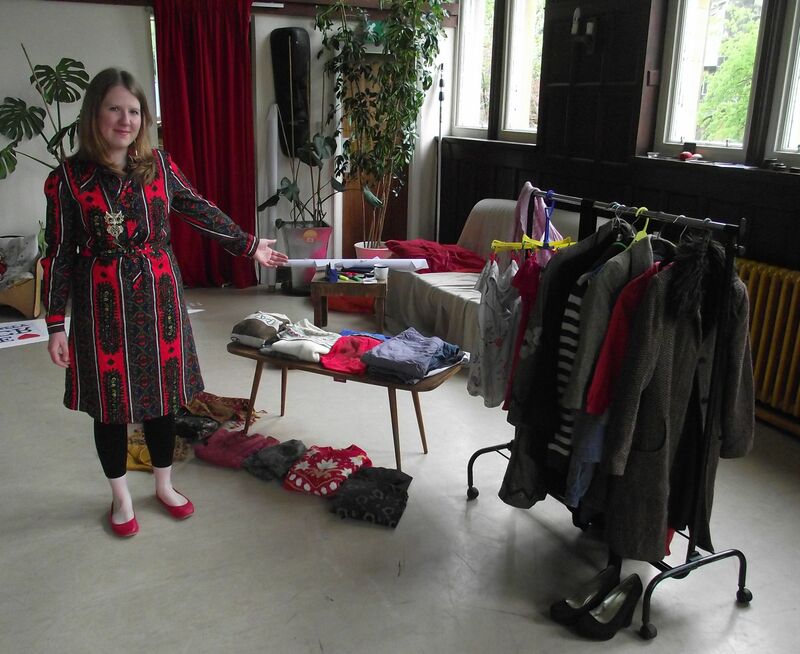 Firstly, thanks to everyone who came to my clothes swap the other day. It went really well! Had a load of lovely people show up, got some great new clothes and donated a lot of stuff to charity so all in all, very happy. 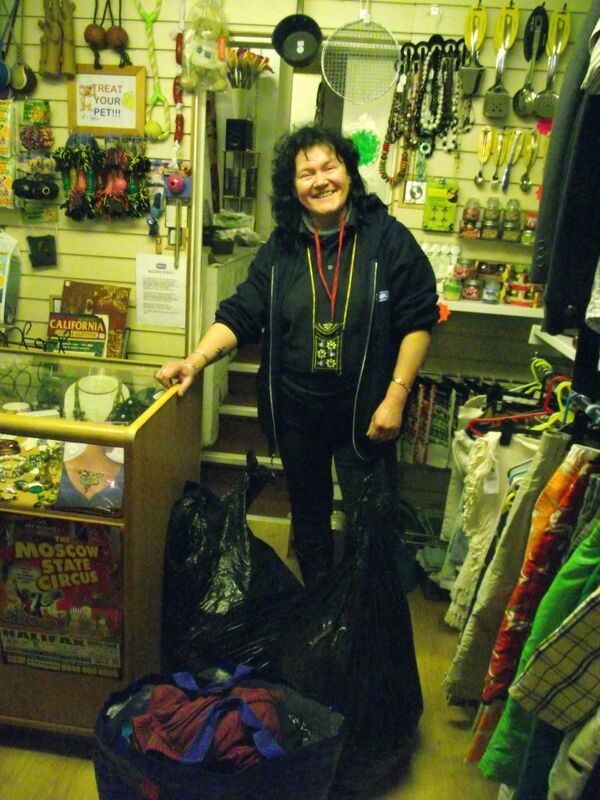 Here’s me at the start giving away my clothes – still have too many. Comes from being really into charity shops I suppose. But you know what they say, what goes around, comes around… here’s the very happy volunteer at my local RSPCA who I donated all the left overs to at the end of the day. Look how happy she is! Playing in Bradford this weekend at Thread fest. On the same bill as The Family Elan and Cian Nugent and the Cosmos. Really looking forward to it! The festival looks pretty amazing actually. 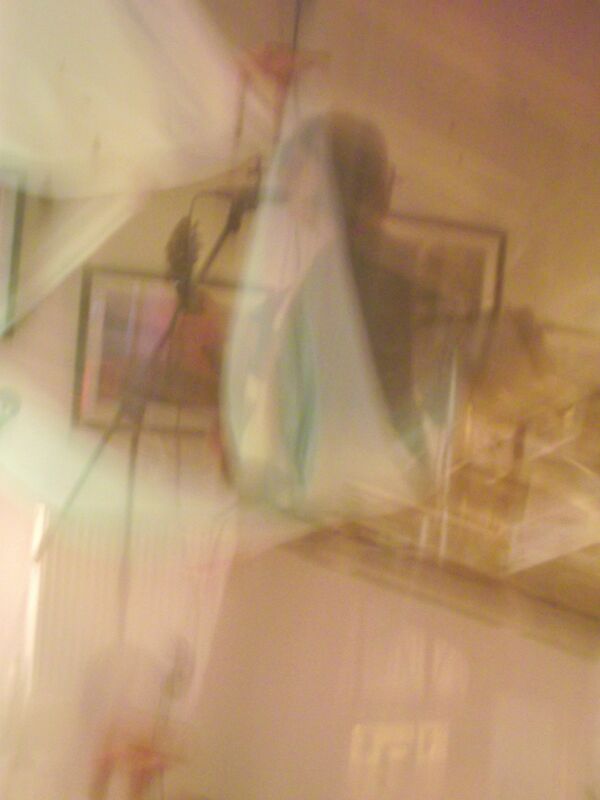 « Hebden Bridge gig, Jake Blanchard poster arts! Hello, Sophie! Well done on the clothes swap! We are a newly-opened community hub for Cornholme and Portsmouth, called The Old Library. We are thinking of holding a Swap Shop in July. Could I just ask where you got the railing and the hangers from? Thank you so much! Oxana. Hi there! They were just at the place I ran the event but I’ve seen some online which weren’t too expensive. I might pop over this week and check your place out, sounds interesting. Thank you! We are not open very regularly nowadays, but very soon we will start running regular classes, groups and drop-in sessions – watch our website and our facebook page! The next event will be on 23 June, Sunday, at 1 pm – the Sun Party for children. If you’ve got something you can contribute, by all means join the fun. Sing a sun song, teach children a song – anything, really! Thank you!